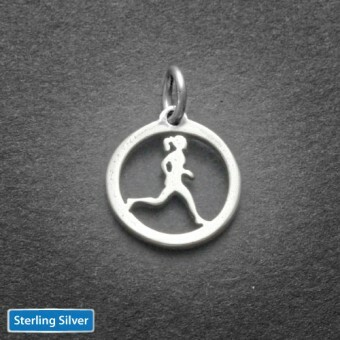 Running Gal Sterling Charm is 12 mm in diameter (just under 1/2 inch) and 1 mm thick. 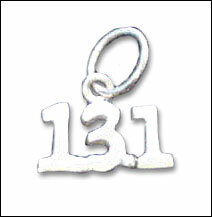 Comes with 4mm link to fit on charm bracelet or as a pendant on a chain. Made from .925 Sterling silver. Cast in the US.